Albany, NY (June 15, 2016)–New Yorkers from all over the state gathered in Albany to call upon Governor Cuomo to rescind his unconstitutional executive order against the boycott, divestment and sanctions movement for Palestinian human rights. Over 200 people rallied outside the governor’s office and delivered a petition signed by 12,000 people. Speakers included Assemblyman Phillip Steck, Kathy Manley of the New York Civil Liberties Union, Alana Krivo-Kaufman of Jewish Voice for Peace, Reverend Barbara Toll of the United Church of Christ, Rani Allan of the Palestine Solidarity Alliance and Rosa Clemente of Black Lives Matter-Upstate NY. 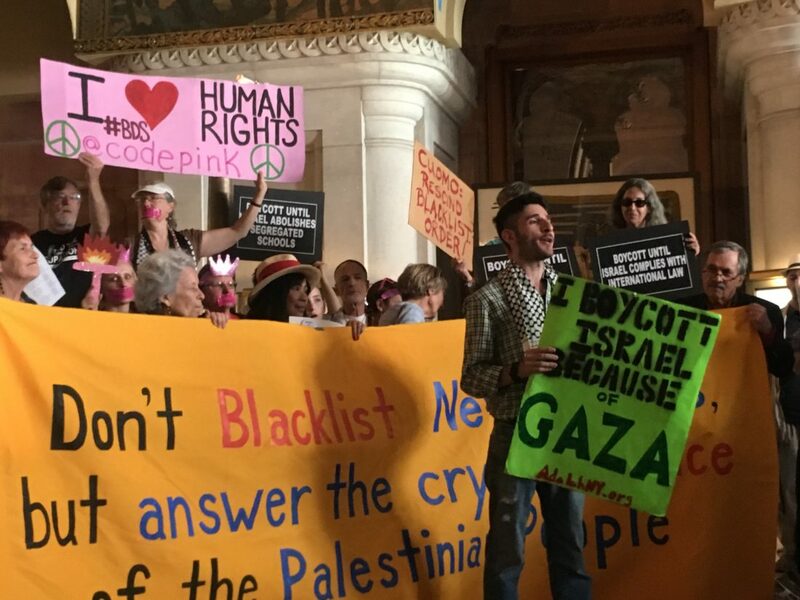 On Sunday June 5 Governor Cuomo issued an executive order requiring the state to blacklist and withdraw investments in companies and organizations that participate in boycotts or divestments from Israel’s human rights abuses. The order has been met with criticism as an unconstitutional infringement on political speech to put pressure on the Israeli government to respect Palestinian rights. Reverend Barbara Toll of the United Church of Christ, said: “For decades my denomination, has been committed to supporting a just peace in Israel/Palestine. 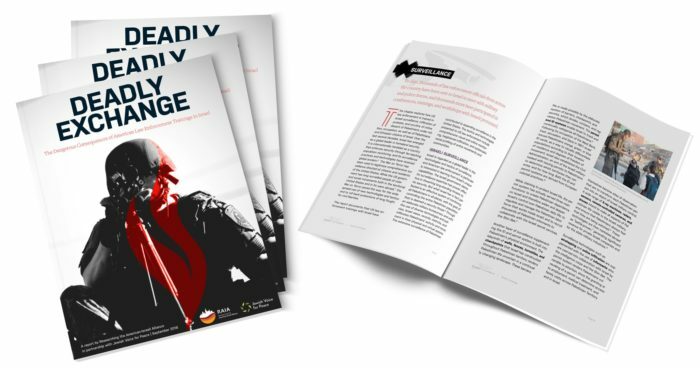 We have asked ourselves and our partners in the region how we, as American Christians, can be in solidarity with those who are tirelessly struggling to end the occupation. As a church, we have a right to engage in non-violent action to bring about change, including using boycotts as tools of economic leverage.” The UCC General Synod voted in 2015 to divest from companies that profit from or that are complicit in violations of human rights arising from the occupation of the Palestinian Territories by the state of Israel, and to boycott goods produced in or using the facilities of illegal settlements located in the West Bank. Governor Cuomo’s executive order is the latest escalation of nationally coordinated efforts to suppress growing support for Palestinian rights. Wednesday’s protest followed a demonstration that drew hundreds of people to Governor Cuomo’s midtown Manhattan offices on June 9. The boycott, divestment and sanctions movement seeks to hold Israel accountable for its violations of international law and human rights abuses towards Palestinians. Recent polls found that over one third of Americans support the BDS movement and criticism of Israel is growing as Israel’s leadership and policies become more explicitly racist and repressive.